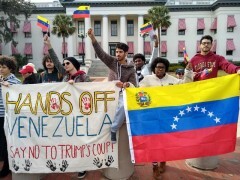 SDS says “Hands Off Venezuela!” | Fight Back! Fight Back News Service is circulating the following statement from Students for a Democratic Society (National). Trump has recognized the self-appointed presidency of the Venezuelan right-wing opposition leader, Juan Guaido. 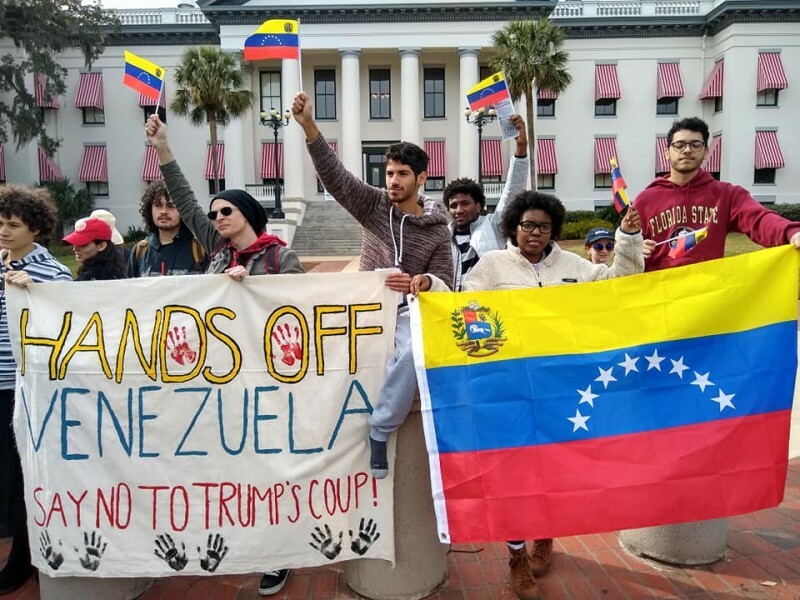 SDS denounces this move of aggression and says, "Hands Off Venezuela!" This is a clear violation of the democratic process and sovereignty of Venezuela. The US has a long history of backing right-wing coups, dictators and dirty wars in Latin America, in order to keep the region subjugated by US multinational businesses. Recently Venezuela has been a major target, facing debilitating sanctions and US-backed coup attempts, from violence in the streets to armed robbery to drone bombings. Tens of thousands of Maduro supporters are rallying in the streets right now in a show of support for Venezuelan sovereignty and for Maduro's administration. His administration has thus cut off relations with the White House. Trump and Pence have no interest in human rights in Venezuela, but are hoping to gain control to privatize industry and resources and exploit the Venezuelan people. For this reason we oppose intervention in Venezuela and call for the end to all sanctions.